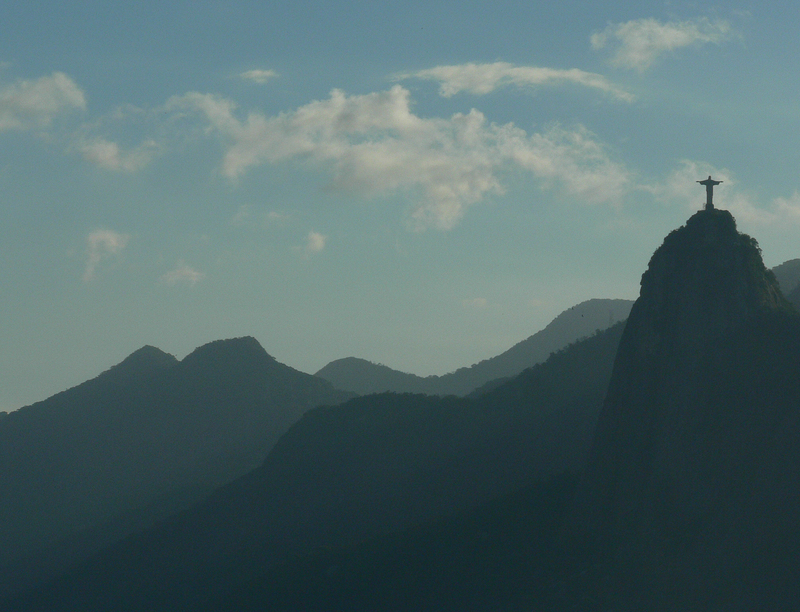 Last month we were in Rio (nothing to do with the football). 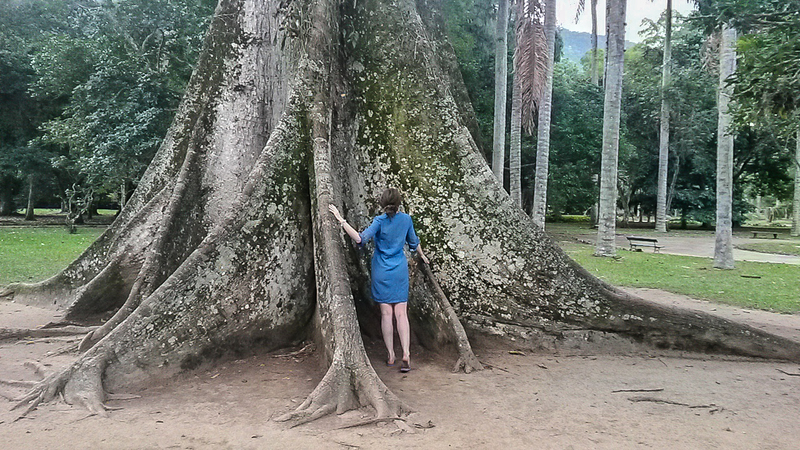 It was my first ever visit to Brazil, and I found the exotic, towering, abundant flora fascinating, each plant and tree so huge and vital due to the year-round humidity and warmth. The plants and trees contrasted so dramatically and interestingly with those at home in Scotland. By the way, I was warned to leave my DSLR camera at home so had only my camera phone and a point-and-shoot (kindly donated); apologies if some of the photographs are a bit fuzzy! 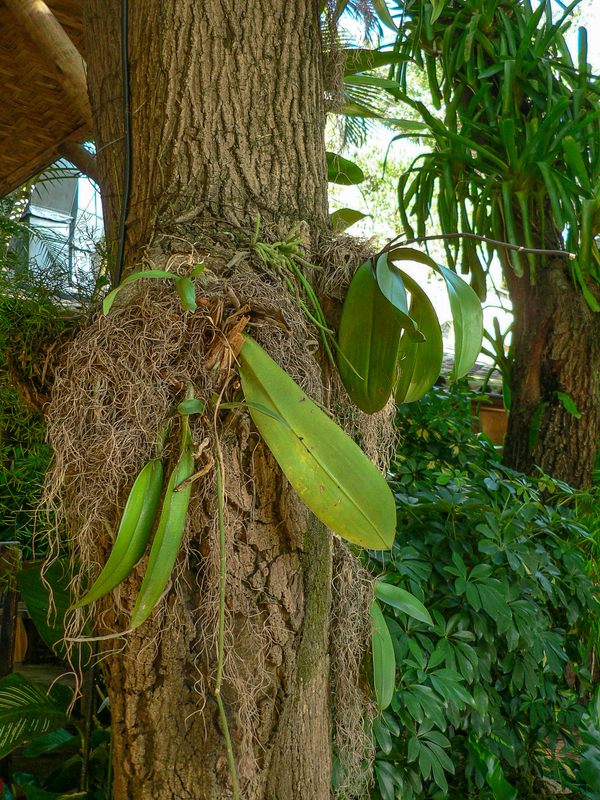 Orchids growing on tree trunks in the suburb of Leblon. 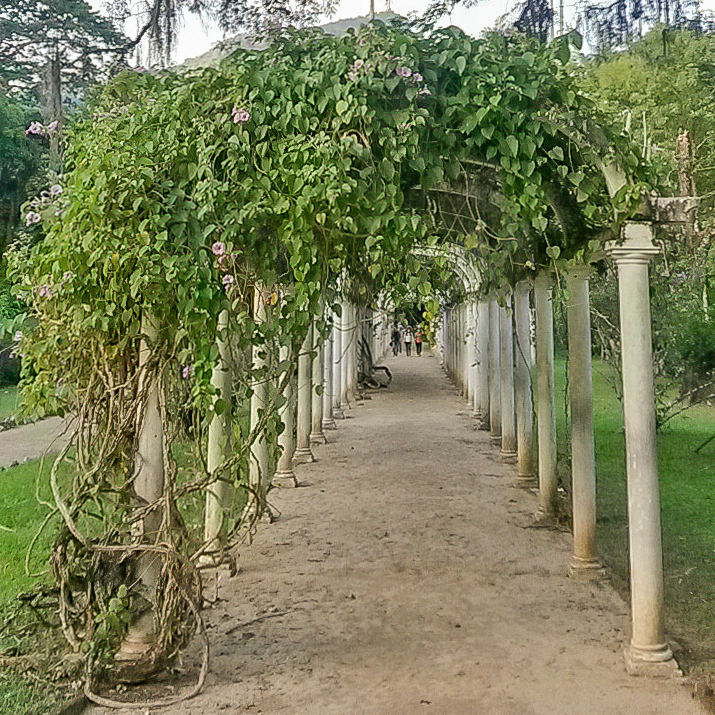 Orchids commonly decorate the upmarket apartments of Leblon, and once they stop flowering they are sometimes given to the doormen who then tie them on to the trees outside. 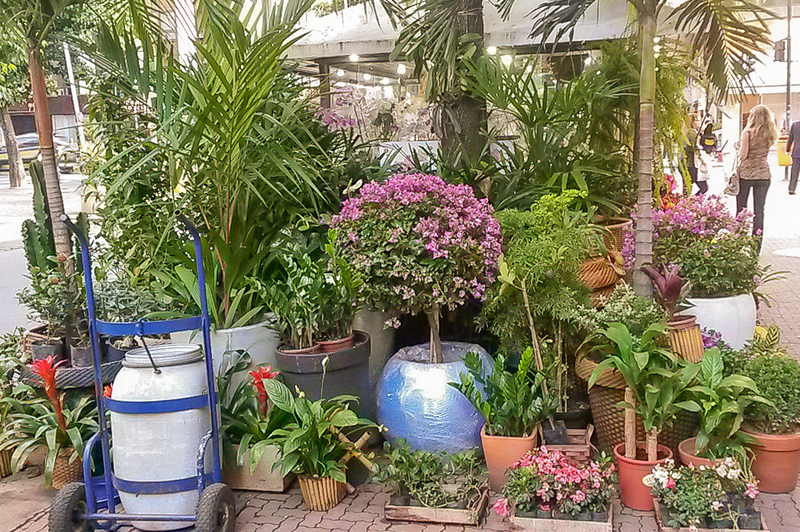 ‘Loja de flores’ – a pavement garden centre in the Praça Sibelius. 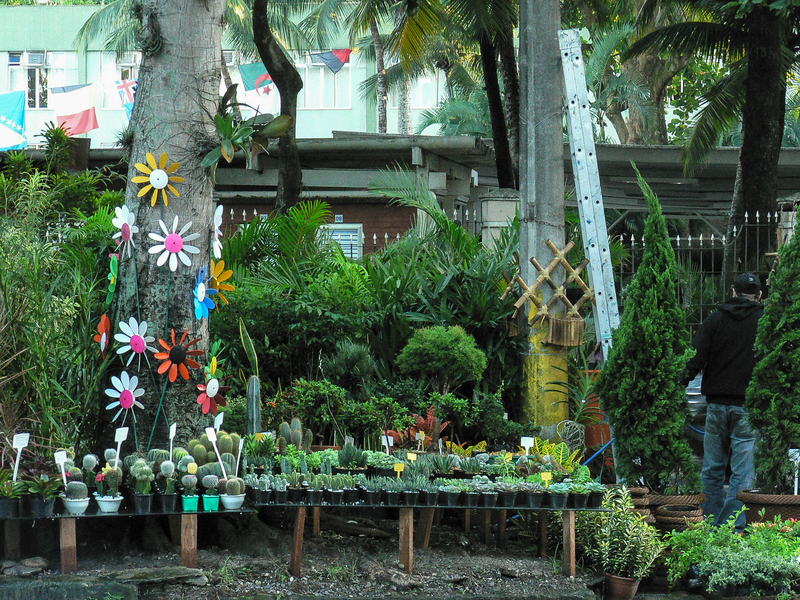 And another garden stall, this one specialising in cactuses. 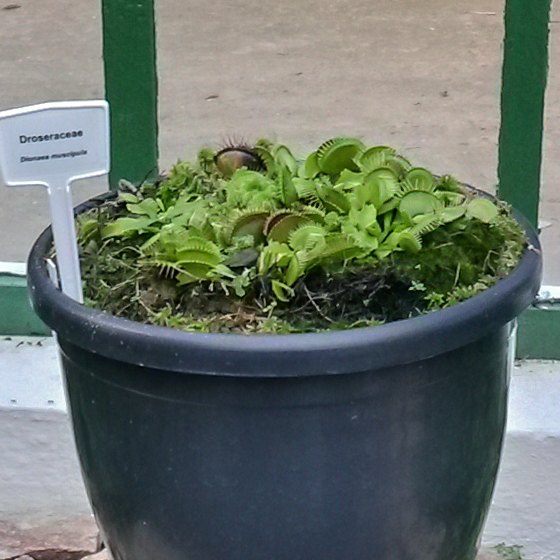 Who could think that so barbarous a plant would produce so delicate and tiny a flower? 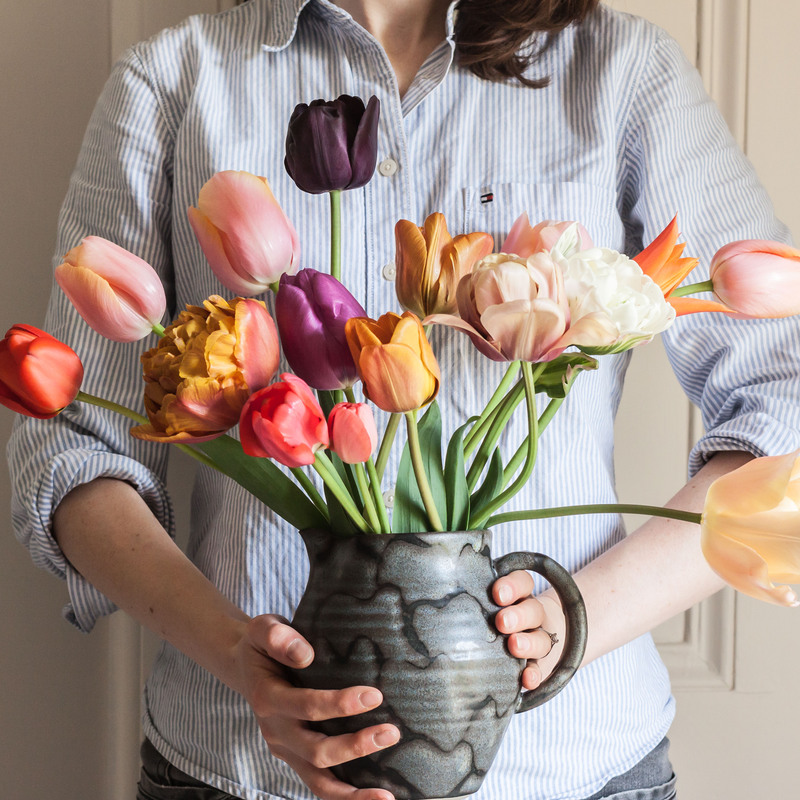 Another of the ‘carnivoras’ – the insect crawls in to the vase where it meets a sticky, enzymatic end. 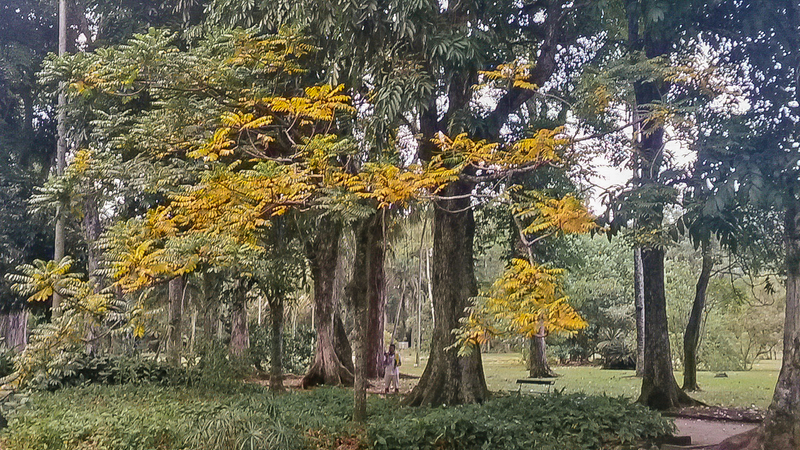 The trees grow enormous in the tropical Rio climate. 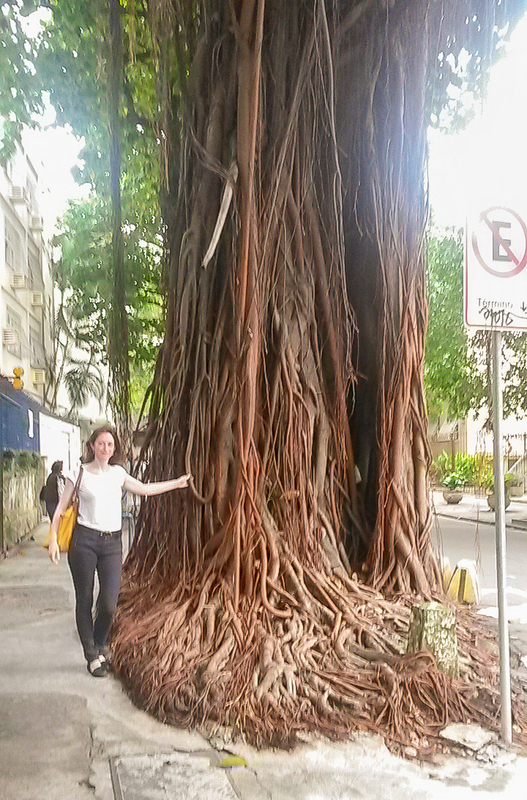 Another fabulously large tree: ‘Planta cipo’ with its trails of overground roots on the pavement in Leblon. 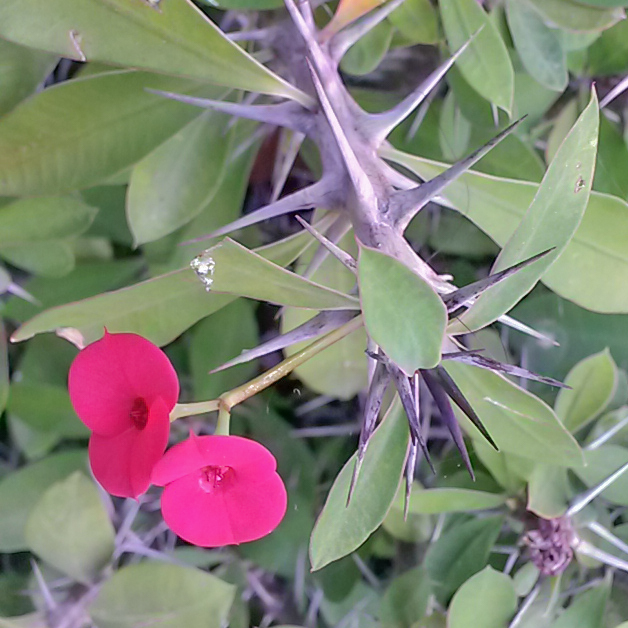 This extraordinary shrub hanging off the edge of Sugarloaf Mountain had not a single leaf, branches of vicious spikes, and a solitary white flower. 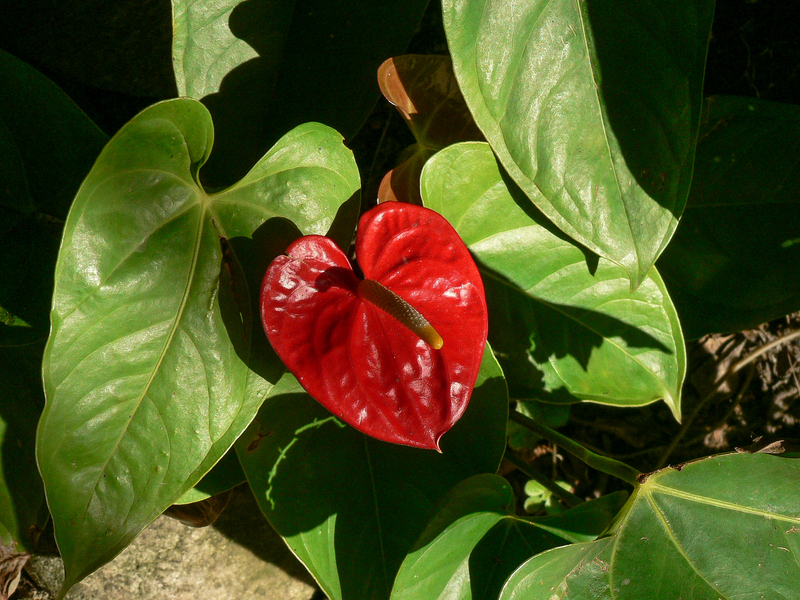 Anthurium commonly grow outdoors under trees, in parks and along the streets. 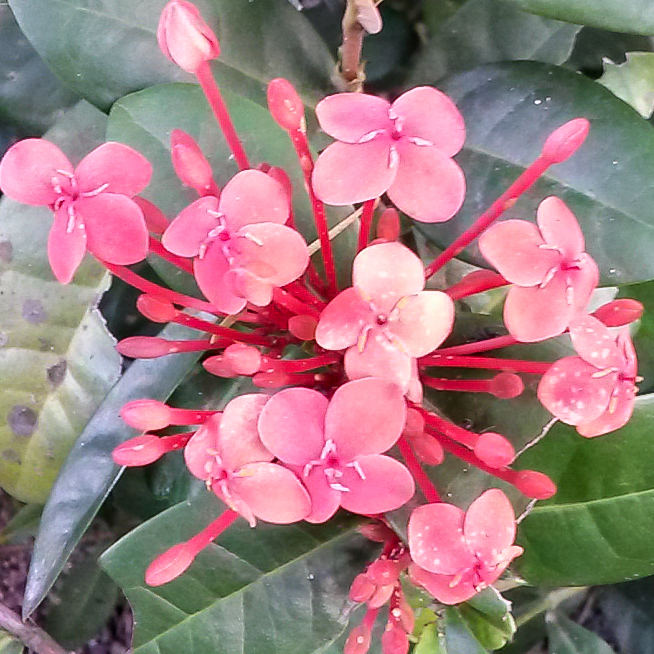 Purple star-like flowers of an unknown plant growing in Rio street. 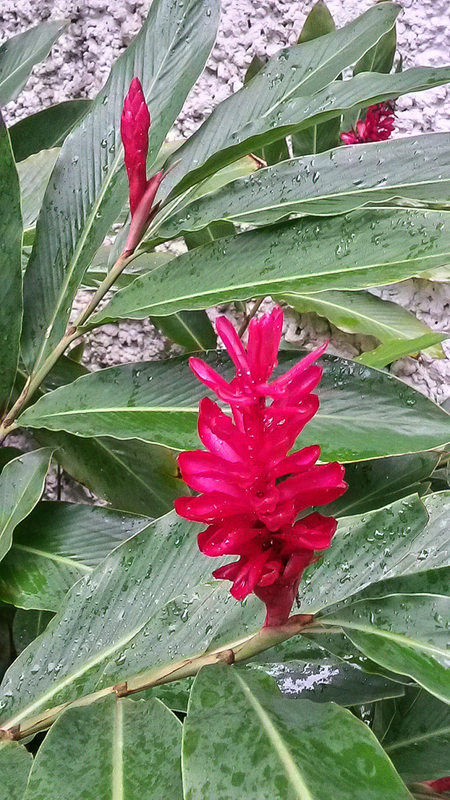 Unknown flower growing in garden on apartment block. 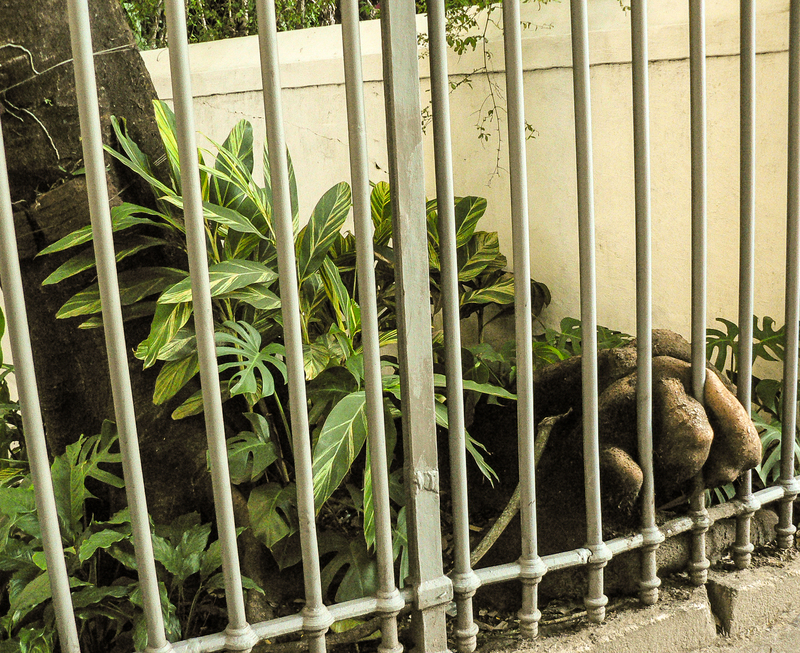 ‘A grande escapada’ – roots of tree attempting to break through the apartment security fence. Yes, a bit different to Edinburgh! 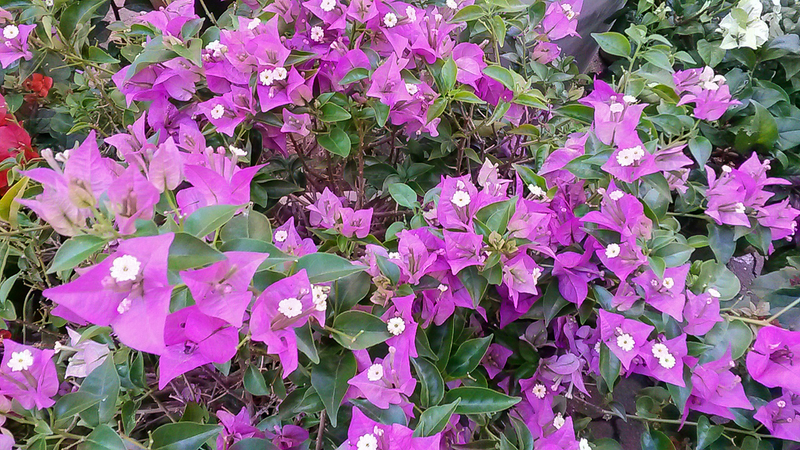 I believe your purple flowered plant is Bougainvillea. Your “escapee” looks, to me, like a gorilla grabbing the rails to wrench them apart! 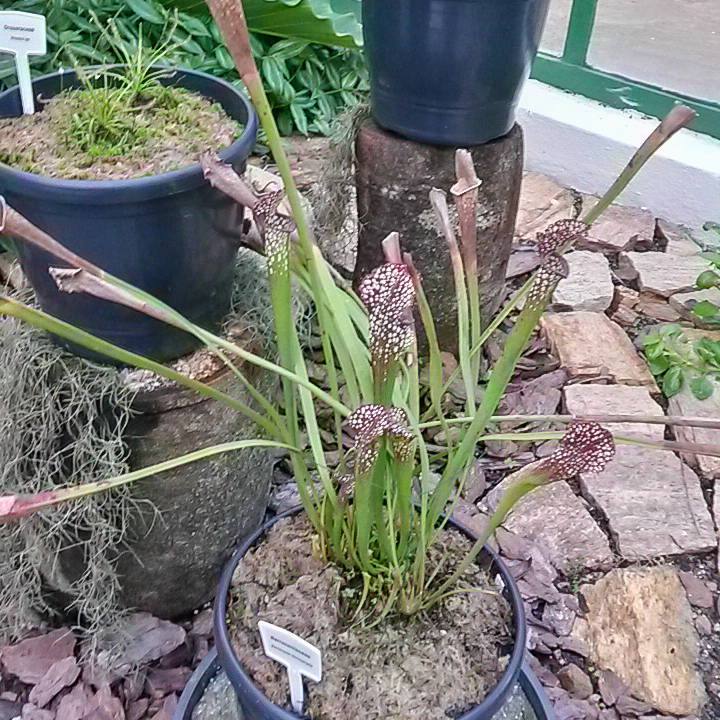 The horticulture is amazing, and reminds me of our visit to Tenerife’s Botanical Garden. Hope you enjoyed your trip! Thanks – ah, that’s what Bougainvillea is! You hear the name in books but I could never put an image to it till now. Not even like Cornwall! It’s the roots which are the most astonishing. 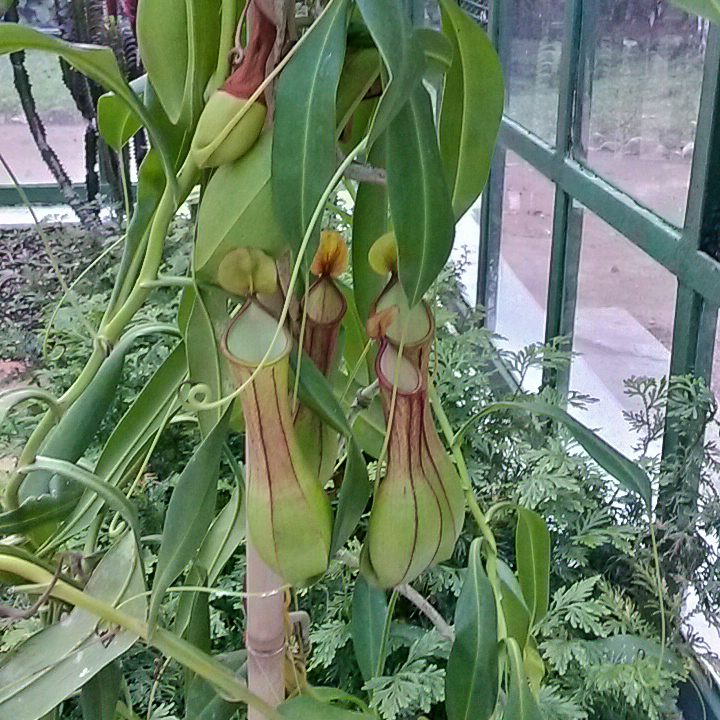 We already knew about the little orchids whose roots like the light and escape from the top of the pots. Now it seems they are the tip of the Brazilian iceberg (not the best of metaphors), rootwise. 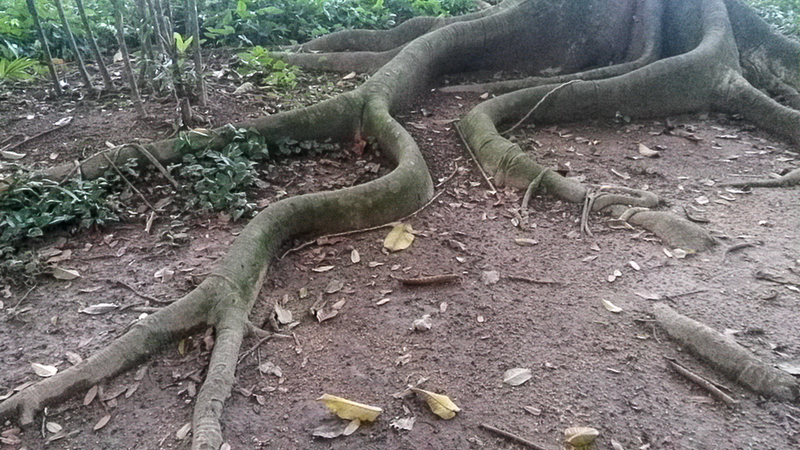 That tree on the pavement in Leblon has surely escaped from the jungle. 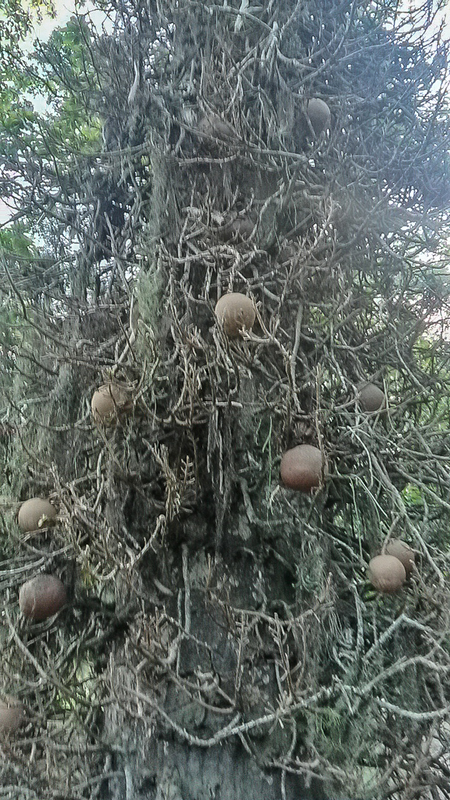 The roots look made for swinging from tree to tree. I can’t identify any of the plants – the fluffy pink flower below the bougainvillea looks like a bottlebrush flower (Callistemon) but the leaves are all wrong. Rio IS the jungle! The forest and the city intermingle a great deal, due to the steep sides of the mountains that can’t be built on so easily, as well as great efforts by the city to replant and maintain their urban jungle areas. This makes the city incredibly green, one of the things I adored so much about it. 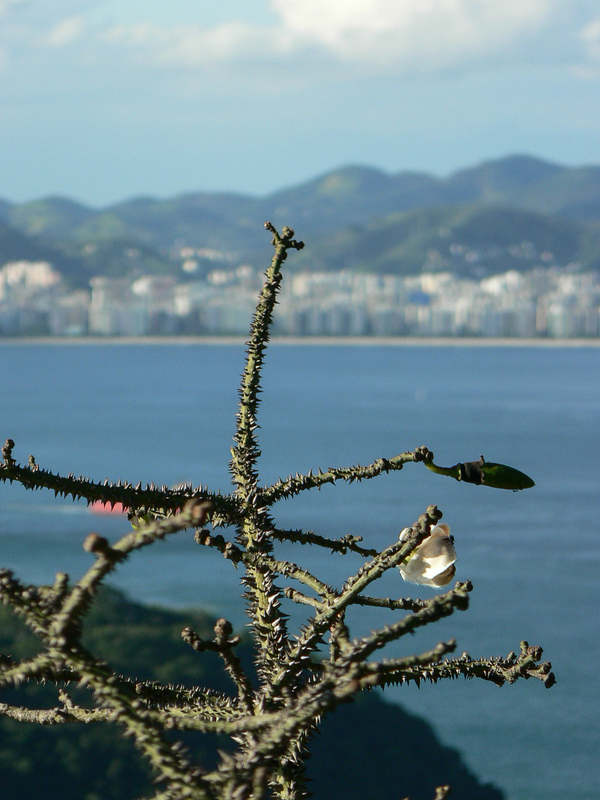 Joanna, I really enjoyed your photos and comments about Rio! 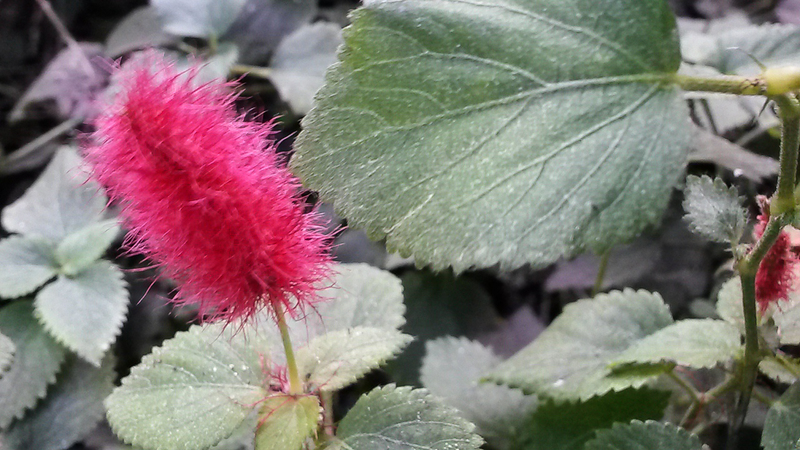 The red cloak flower, we call it Alpina, don’t like much sun, likes humidity and hates wind. 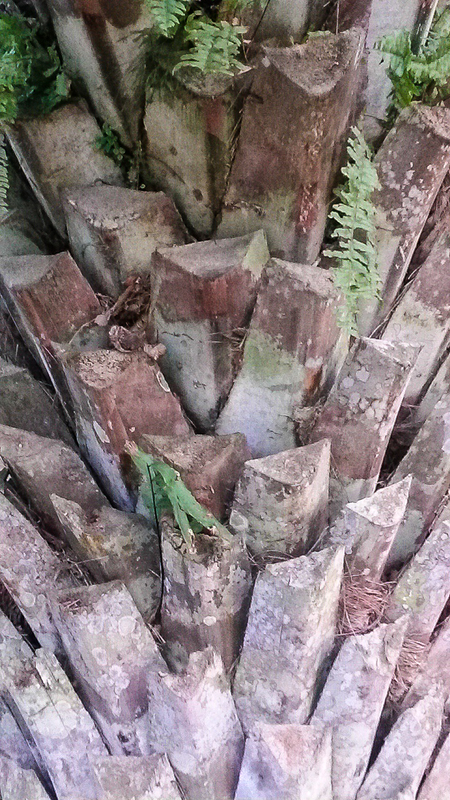 The “planta cipó” is a Figueira, a very big tree with very powerful roots. Next time you come to Rio we can go to the “Sitio do Burlemarx”, an amazing Brazilian artist and revolutionary garden architect. Looking forward to see you in Rio again! Thank you Carmen. That would be wonderful!